Classic slipper construction made from walnut tumbled leather with a weatherproof and lightweight EVA outsole. Leather-wrapped memory comfort insoles and full leather linings make the Wentworth comfortable and relaxing. Classic slipper construction made from walnut tumbled leather with a weatherproof and lightweight EVA outsole. Leather-wrapped memory comfort insoles and full leather linings make the Wentworth comfortable and relaxing. Itﾒs durable and versatile construction allows for the heel to be easily folded down, converting the Wentworth from a stylish casual shoe into a slide sandal. 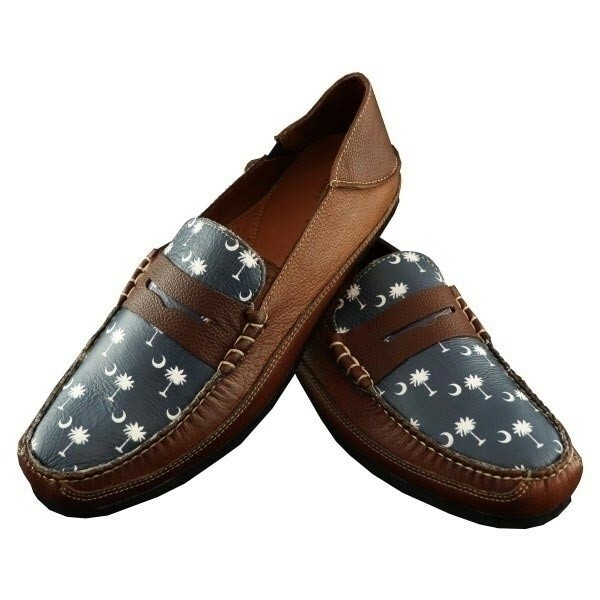 A perfect shoe for lounging or a casual, yet sophisticated look.